When in doubt I tend to grab pink. Surprisingly enough even the hottest shade of pink matches with a great deal of colors and patterns. As you can see here it pairs quite nicely with my Gap camo skinnies! 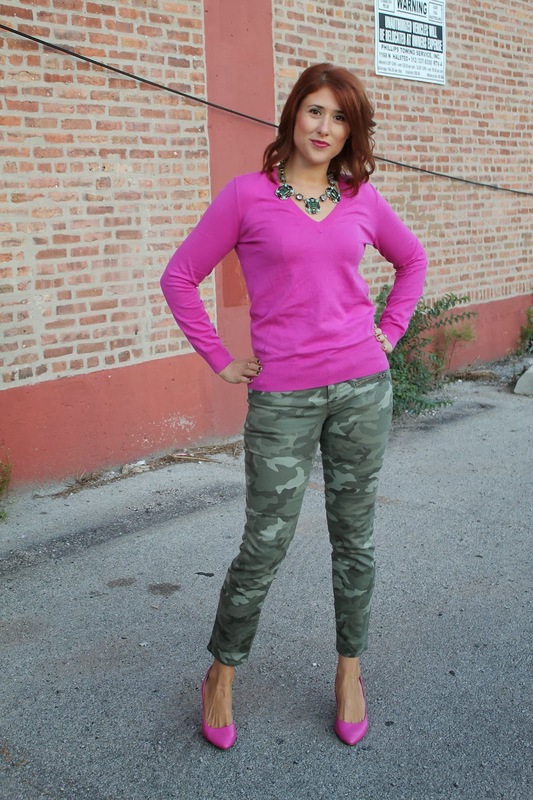 Hope you enjoyed the three days of camo and maybe it even inspired some looks of your own! these colors really do pair together so well! 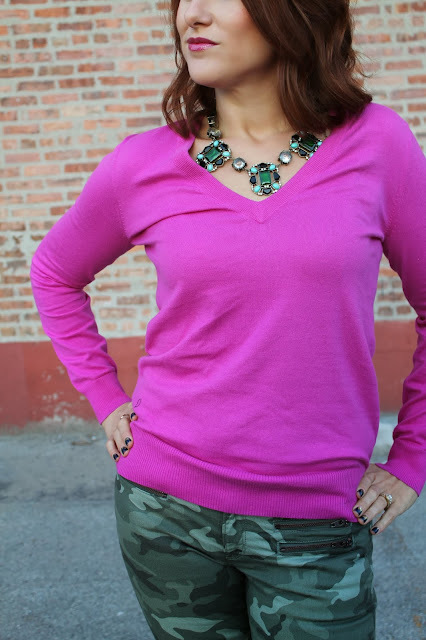 You rock hot pink like no other! Definitely my favorite look this week! This look might make me think more about Pink! Love it lady!